He’s not your average Muslim scholar. He’s not somebody who would reply to a question with a definite answer. Although, he does have definite answers yet they come with a little bit humor. 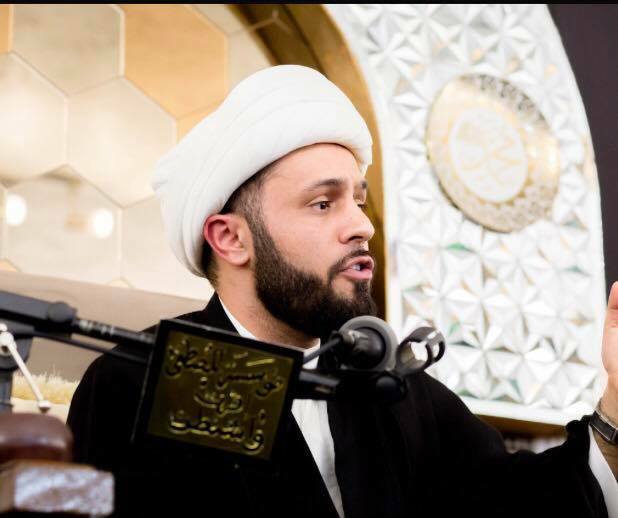 Meet Shaykh Azhar Nasser, a Muslim scholar who is a sensation on Twitter for all the right reasons! Don't ever tell a depressed person to treat their depression by solely reciting Quran. When someone breaks their leg, you don't tell them to just read Quran without seeing a doctor. Why do we do this to those who are depressed in our communities? It’s generally assumed of Muslim clerics to be characteristically stern and serious in their tone. This is a stereotype of our culture and we are accustomed to assuming about all Muslim scholars to be the same. But Shaykh Azhar Nasser is different. He’s true to the aspect but is well ahead in humor as well. People continue to ask him every question that pops into their minds and his replies are simply PRICELESS. Sometimes he is way too funny, sometimes he pulls off ultimate sarcasm and other times, he’s just savage. Sit back and enjoy the following thread because this is going to seriously crack you up! Very nice to meet you Bilal, Ali, Muhammad and Jasim. He’s too good at it! Sheikh, seriously is weed halal? The only weed that is halal is Tajweed. Get it? Cuz it ends with “weed”. Hello? Brother you there? Couldn’t sum it any better, right? Sheikh, not all men are animals only some are. Why not allow handshaking, hugging, etc and punish the perpetrators? Not all people are thieves but you still lock your door. Sheikh, my mom is always on my back. She never lets me out of the house past 10pm. Its so infuriating. Tell me more about your heart-wrenching tribulation. Sheikh, how do I avoid shaking hands with women at work? Tell them you can’t for religious reasons or be subtle and wear oven mitts. Sheikh, can you please teach my son about taharat and najasat? I’ll do that after I convince him God exists. Sheikh, a friend of mine wanted me to ask you a question. Sheikh, would you like to come over so we can hang out together until fajr? Habibi, I can’t because I’m busy working on this excuse. Sheikh, you didn't answer my question. Is it haram to celebrate Halloween? Habibi, its November. Why are you still wearing your Taylor Swift costume?! Sheikh, do you watch Narcos? Habibi, in Islam we only confess our sins to Allah. Besides , season 3 is over. Sheikh, you're invited to my wedding. So after my husband and I enter the banquet hall riding elephants, we want you to start your speech. I love that your keeping things simple. Sheikh, these non-Muslims hate Islam. Am I right? I think they just hate it when you do the adhan on your roof at 5am. Sheikh, I find your tweets deeply insulting and offensive. Sheikh, what was that one Hadith about how only God can judge us? Sheikh, don’t eat those gummy bears, they have gelatin in them. I called and checked. Of all the questions on earth! Sheikh, is it haram for a Sayida to marry a non-Sayid? Here’s another… Enjoy this one, too! This Muslim scholar is becoming insanely popular among people for his replies. They are absolutely dubbed with humor and we totally enjoy it. Seriously, you cannot go without having a good laugh every time you browse his Twitter handle. He’s so good at it and he replies to almost every question people ask him. Well, I personally have so many questions for him. I will try writing to him and see what he has to say about it. You guys should try too! At least, you will have a good laugh.